Tiles and grout cleaning or any hard floor cleaning can prevent the growth of bacteria and sealing can protect the surface from damage and easy to clean. 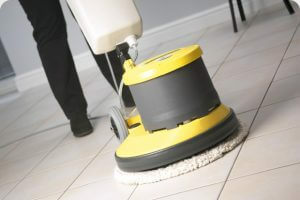 Regular floor cleaning can ensure your place hygienic and attractive in appearance. We provide Professional services for Tile and Grout Cleaning Sydney. We can clean all types of tiles and grout. Dirty tiles or grout keep bacteria and mould which are harmful to health. Cleaning tiles and grout could be a challenging task. We use high pressure and scrubber machines with right solution to get rid of the dirt, and make the floor look in its original condition. We believe in complete customer satisfaction. Our cleaning business in sydney is not just about giving the required services but doing it the right way. Reliability means your Tile and Grout gets the treatment it needs to make it a better place to live or work in. It also means saving customers time and efforts, so you take care of yourself while we take care of your home or office.